Does “Inventor” in the Constitution Mean “First Inventor”? I have been watching in utter amazement as individuals with a variety of experience in the patent field debate the constitutionality of the first to invent proposals. This started when those who will not allow truth and accuracy to deter from their arguments started saying that the Supreme Court ruled first to file unconstitutional in Stanford v. Roche. That argument was, and still remains, specious because Standord v. Roche had nothing to do with the issue, nowhere in the case did Chief Justice Roberts make such statement, hint that he was thinking such a thing, or say anything colorably related to such a conclusion. See Did the Supreme Court Rule First to File Unconstitutional? Now the argument is morphing into a discussion of whether the word “inventor” must mean “first inventor.” This very question is being seriously raised in some academic circles, by some patent practitioners who ought to know better, and by those who simply want to kill patent reform at all costs even if they have to engage in gross misrepresentation in order to do so. Indeed, there are those ranging from neophyte to relatively experienced that are seeking to change history, ignore logic and refuse to acknowledge well established patent law precedent in order to twist the word “inventor” in the U.S. Constitution to mean “first inventor,” which would then call into question the constitutionality of the first to file provisions of patent reform now before the House of Representatives; H.R. 1249. Simply stated, the overwhelming evidence suggests that the United States Supreme Court, the Federal Circuit and even early political and judicial leaders of the United States all envisioned the truth that one can legitimately be called an inventor even though they are not the first to invent. Unlike the many arguing in this debate I will actually prove this if you keep reading, with actual citation to cases and statutes. You see, when truth is on your side it is easy to come up with support for your argument. Sadly, those who want to challenge truth don’t provide citation to cases, they simply think that the passion of their beliefs ought to be enough to will their erroneous statements accurate. I suspect you will see citation-less arguments in the comments to this very article. But why? If those who disagree are correct why can’t a single citation ever be produced on point when so many can be provided to demonstrate what I am saying is correct? Curious indeed! But why does it matter whether the law recognizes a Johnny-come-lately as an inventor? Article I, Section 8 of the United States Constitution says that Congress has the power to: “To promote the Progress of Science and useful Arts, by securing for limited Times to Authors and Inventors the exclusive Right to their respective Writings and Discoveries.” So if the term “Inventors” means “those who are first to invent,” or the equivalent, then the first to file provisions of patent reform would violate the Constitution. If “Inventors” does not incorporate a notion that of first inventor then Congress would have the right to choose among inventors to reward with a patent, as is currently the case. So it becomes critical to understand whether the Supreme Court and other courts have identified those who come after the first inventor as inventors in their own right. Without further ado, please allow me to present an overwhelming case to prove that the patent laws of the United States have always recognized the reality that one can be (and is) characterized as an inventor even when indisputably not being the first person to invent. 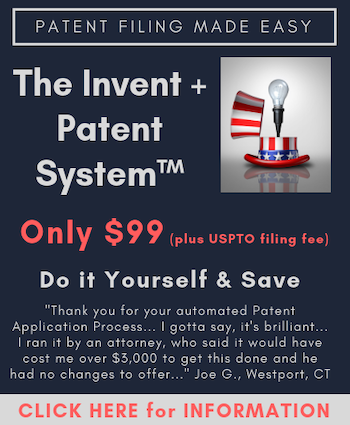 First, allow me to observe that the history of patent law in the United States is replete with discussion of “first inventor”, “first to invent,” “earlier inventor,” “original inventor,” “later inventor” and “subsequent inventor.” In fact, the Patent Act of 1836 included a defense to infringement that would allow the defendant to demonstrate that the patent owner was not the “first inventor.” The defense in the 1836 Act explained that the defendant would prevail if the patentee was “not the original and first inventor of the thing patented, or of a substantial and material part thereof claimed to be new.” (emphasis added). But what does “original and first inventor” actually mean? Although Reed v. Cutler would not be considered good law today because the holding is in direct contravention of 35 U.S.C. 102(g), and was overruled by subsequent Supreme Court decisions (keep reading and you’ll see), it is notable because Justice Story’s 1841 opinion gives us a clear understanding of what it means to be an “original and first inventor.” Story wrote: “Under our patent laws, no person, who is not at once the first, as well as the original, inventor, by whom the invention has been perfected and put into actual use, is entitled to a patent. A subsequent inventor, although an original inventor, is not entitled to any patent.” (emphasis added). Clearly, in the mind of Justice Story an “original inventor” could be a “first inventor” or a “subsequent inventor.” Thus, the term “original inventor” meant one who conceived of the invention on their own. Dating back even further than 1841, in 1813 in the case of Woodcock v. Parker, Justice Story wrote: “The first inventor is entitled to the benefit of his invention, if he reduce it to practice and obtain a patent therefor, and a subsequent inventor cannot, by obtaining a patent therefor, oust the first inventor of his right…” (emphasis added). But what about more modern cases that would be interpreting laws more familiar to those on the books today? The United States Supreme Court has explained: “it is well settled that a concealed, forgotten, or abandoned invention is not a bar to a patent to a subsequent inventor.” Alexander Milburn Co. v. Davis-Bournonville Co., 270 U.S. 390 (1926). This is important for several reasons. First, once again we see what should be obvious; namely that if there are those who are considered “first inventors” there are others who are “subsequent inventors.” Second, this case is important because it is a pronouncement of the United States Supreme Court that does away with the notion raised by Justice Story that hidden prior art can and should prevent the issuance of a patent to a subsequent inventor. That is not the law today, so I provide this case to preempt those who will want to argue — pretend really — that Justice Story’s comments on that point are still the law. They are not. Congress and the Supreme Court have long since done away with that interpretation, which wasn’t even a universally held understanding of the patent laws at the time. A subsequent inventor can and does win the patent over a previous inventor who concealed. It is hard to believe the United States Supreme Court would announce a “well settled” rule that violates the Constitution. But what about the Federal Circuit? The Federal Circuit has explained: “as between an earlier inventor who has not given the public the benefit of the invention, e.g., because the invention has been abandoned without public disclosure, suppressed, or concealed, and a subsequent inventor who obtains a patent, the policy of the law is for the subsequent inventor to prevail.” OddzOn Prods. v. Just Toys, 122 F.3d 1396. So obviously there is such a thing as a “subsequent inventor” in the view of the Federal Circuit, which is completely consistent with what the Supreme Court says. Still further, according to the Federal Circuit: “Early public disclosure is a linchpin of the patent system. As between a prior inventor who benefits from a process by selling its product but suppresses, conceals, or otherwise keeps the process from the public, and a later inventor who promptly files a patent application from which the public will gain a disclosure of the process, the law favors the latter.” W.L. Gore & Associates, Inc. v. Garlock, Inc., 721 F.2d 1540. But what about the predecessor to the Federal Circuit, the Court of Customs and Patent Appeals (CCPA)? According to the CCPA: “it is the simple rule that the property right shall reside in the second inventor who disclosed and not in the first inventor who concealed.” Horwath v. Lee, 564 F.2d 948. It is also notable that Horwath forcefully explains that the law has always favored the party that discloses early because “[t]he man who secretes his invention makes easier and plainer the path of no one. He contributes nothing to the public… Where an invention is made and hidden away it might as well never have been made at all, at least so far as the public is concerned.” This is, of course, true and in reality why a first to file system is far more in keeping with the purpose of the Patent Clause to the U.S. Constitution. I could keep going on with case after case showing that throughout the 200+ year history the U.S. patent laws there has always been an understanding that there are “first inventors” and “subsequent inventors” and that “subsequent inventors” have been awarded patents over “first inventors.” Furthermore, if you search through United States Supreme Court cases you will find literally dozens of cases where interference proceedings were discussed and directly relevant to the outcome of the case. Never once did the Supreme Court in any of these cases suggest it was anything other than appropriate and justified to grant a patent to subsequent inventor over the first inventor where the first inventor waited too long to file or was not diligent. What is clear is that the Supreme Court has already addressed the matter of whether can be deemed an inventor when they did not invent first, even saying that it is well settled that a subsequent inventor is the rightful patent owner in at least the situation where the first inventor concealed the invention. That would mean that the Supreme Court would have to overturn at least one of its rulings in order to rule first to file unconstitutional. The Supreme Court overruling earlier cases is extraordinarily rare, and in this case where there are dozens of cases that would need to be overruled or questioned it seems a foolish mental exercise to even ponder the incalculably small odds of the Supreme Court ruling first to file unconstitutional. It is an undeniable logical and historical truth that if there is one who is a “first inventor” there has to be those who are “subsequent inventors,” otherwise the term “first” and “inventor” are redundant. Hopefully now we can put to rest the tiresome and nonsensical assertions by those unfamiliar with patent law, as well as the assertions of those who should know better. There has always been room in the patent laws for subsequent inventors, many of whom has received a lot of patents over the years. The likelihood that patents granted to subsequent inventors will be ruled to violate the Constitution in the future asymptotically approaches zero. While nothing is ever truly impossible, very little is as close to impossible as thinking any court would rule first to file unconstitutional. The frivolity of these current arguments against patent reform does nothing more than to show the desperation and extraordinary lengths some will go to. This is unfortunate indeed because the legitimate arguments over patent reform are being drowned in a see of ridiculous assertions. Truly disappointing. Thanks for this well-supported and informative article, Gene. As an observer on the sidelines, I have found the ‘unconstitutional’ arguments convoluted and bewildering. Never, in the field of human history, have so many imbued so few words with so much meaning, as the FITF opponents have imposed upon ‘progress’, ‘limited time’ and ‘inventor’. I had held the meaning of these terms to be self-evident, but then this is rarely a safe assumption in any area of the law. It seems to me that if granting a patent to someone other than the ‘first inventor’ is unconstitutional, then there must be very many unconstitutional patents out there! The current US law denies a patent to a subsequent inventor only in the specific circumstances set out in 35 USC 102(g), and only then upon presentation of a high standard of evidence. The junior party in an interference proceeding, for example, faces an uphill battle, even if they were truly the earlier inventor. And yet, even then, being an earlier inventor is no guarantee that the true first inventor has been found. So, while the current law would appear to provide for a proven earlier inventor to be granted rights, and for a proven later inventor to be denied rights, it can hardly be said to provide any sort of guarantee that patents are granted only to first inventors. Indeed, the opposite outcome is guaranteed under 102(g)(2), where an earlier inventor is found to have ‘abandoned, suppressed or concealed’ the invention. Ipso facto, applying the same sweeping illogic as the Consitiutional opponents of FITF, the current US patent statute is surely itself unconstitutional, if it has allowed even a single patent to be issued, and held valid, to an inventor who was not truly the first. I now await Blind Dogma’s obligatory insults! If I must insult you Mark, here it would only be towards your reading abilities and your desire to be insulted. The gist of your message is what I have already stated in my posts on Gene’s other thread. My barbs, while sharp, are also pointed, and as I have said before, serve a purpose. It is a war out here on the patent front – as I am sure that you are aware. I personally oppose the Patent Deform Bills of 2011 which are clearly aimed at weakening the rights of one who is first to conceive and diligently devote himself to perfecting an invention. Those who steal are not interested in perfecting inventions, just in stealing them. A penny to them in the current fiscal quarter is worth way more than a pound and a pence two quarters hence. That’s just who they are and how they roll. Short sighted and quick to grab whatever they can for their own greedy and momentary monetary advancement. With that said, I agree with your assessment that the debate over the Constitutionality of the Patent Weakening Acts of 2011 is without rational underpinning. But then again, in these modern times of ideological demagoguery, who cares? America is once again the backwards and economically collapsing nation that it was back in the days of the 13 colonies. And those who want to further the collapse will say anything and do anything to further that goal. The Founding Fathers were no geniuses (except maybe for Mr. Franklin). But they were perspicacious enough to note that Britain was prospering quite well with their so-called Industrial Revolution while America was floundering as a tobacco-growing agricultural economy. So it didn’t take much in the way of brains for the Founding Fathers to realize that they have got to bring some of that Industrial Enlightenment over to this back waters nation, even if it meant “copying” some of the patent-granting strategies of the British Empire. Back in the 1700’s, communication technologies were primitive. It did no good for the 13 Colonies if something was “invented” over there. It had to be brought to “this country” by hook, crook or any other means. That is why the original patent laws were so concerned with what was known “in this country”. Who cares if it was first invented somewhere else? First to invent somewhere else in the world was of no concern. Why even to this very day the debate continues as to whether Alexander Bell was a first to invent or a clever thief who stole his ideas from the British inventor Elisha Gray. And of course, most Americans would respond with an “Elisha who?” because we are so great and an exceptional of a country that it is not possible for us to have been a nation of thieves and pirates (and floaters of questionable default swap papers). Gene: Nice article, but . . . The cases you cite are all concerned with that other aspect of patenting that often gets overlooked, i.e. the public purpose of promoting disclosure of patentable inventions. This (as you realize) is how the Progress is Promoted by the patent power of Congress. So when Congress (102(g)) and the courts (your cited cases) have been confronted by a subsequent inventor who has patented challenged by an earlier inventor (who abandoned, suppressed or concealed) the subsequent inventor prevails as a matter of public policy (since if she didn’t that would encourage suppression and concealment of at least some inventions). But that is altogether different from a regime as proposed where the person entitled to a patent is the one that won the race to the PTO. And it doesn’t address the concerns of many that the derivation proceedings would put small inventors at a disadvantage over large corporations; since a great deal of innovation comes from small startups etc., such a disadvantage is likely to have a negative impact on innovation at least in some fields. Finally, and to your point, bigger problem in my view is the prior user rights provisions of the House bill, which would certainly encourage large companies to keep secret whatever they can – again, contrary to the policy illustrated in your piece that disclosure is necessary to Promote the Progress. But I haven’t heard that constitutional argument yet. Reading this in the light of Gene’s recent articles on prior user rights and the proposed US patent reforms, I couldn’t help thinking that a lot hinges on the interpretation of the words ‘disclosure’ and ‘conceal’, which in turn have ramifications on ‘prior user rights’. Don’t know about the war, but I can see plenty of mine fields. I couldn’t agree with you more. I have written about the prior user rights matter, although so far have only alluded to the fact that prior user rights are inconsistent with the disclosure objective in the Constitution. I have been wanting to write that article for a while, but then things more pressing get in the way, like the gross misrepresentations about Stanford v. Roche and a number of law professors circulating a draft letter over the weekend that suggested first to file is unconstitutional. That is what prompted this particular article, but I think I know now what I am going to write today! You are definitely right that the cases I cite are uniformly about the importance of the dissemination of information, which is why they contrast the first inventor and subsequent inventors do directly. Things are well with me, I hope they are well with you as too. I couldn’t agree with you more, except with respect to BD’s obligatory insults. Just sticking up for our Kook-Aid salesman extraordinaire! Notwithstanding, I love your line about never have so few words been given so much meaning. In fact, this time it is just a single word – “Inventors” – that some are trying to attribute a meaning to that is completely inconsistent with 200 years of patent law development in the U.S. I have not had an opportunity to read all that you may have written regarding prior user rights. From my experience as house counsel for several Fortune 500 and Fortune 100 corporations, I can assure you that trade secrets and prior user rights are commercially important property rights to at least some major business enterprises, and a benefit to the USA economy at large. I cannot go into any detail to support my assertion because to do so would improperly reveal privileged and confidential client information. Suffice it to state that any person who commercially practices trade secrets of which that person is the first and original creator is contributing to society and the economy through such use. In several particular instances with which I am connected, several highly technical products and sophisticated modern materials are available today and at far more economical prices that would not be possible without such secret uses. Producers of these products that use such trade secrets could be held hostage without prior user rights being applied to their trade secrets relative to a later inventor who becomes or assigns an adversely positioned patent holder and competitor. If prior user rights are not granted, and the right to continue to use such previously originated trade secrets are nullified (superseded) by a later inventor who files for and obtains a patent, isn’t that a taking of private property rights of the earlier independent inventor who chose to keep and practice his trade secrets by the government and handing it to the party who files for US patent? Where in our Constitution is the justification for taking away the property rights of the earlier independent inventor and handing to the later independent inventor the right to exclude the first inventor from continuing to practice what he first invented? It certainly does not fit the concept of eminent domain addressed in the Fifth Amendment: “nor shall private property be taken for public use, without just compensation.” I hope you will address this aspect of First to File in a later article. I do not support any patent reform legislation that does not address and preserve prior user rights for much more than business methods. You really cannot characterize the grant of a patent and loss of trade secret rights as a taking. There is no taking whatsoever, just the loss of rights, which would occur even if there is a prior user rights defense in place. Trade secrets are only a right so long as the information remains secret, so the trade secret ceases to exist upon publication of the patent application or issuance of the patent, whichever is first. So from that point forward there is no trade secret, so nothing could be taken. If there are prior user rights granted as a defense to infringement there still would be no property rights owned by the party who concealed because the trade secret would no longer exist as a result of disclosure. So this is clearly not a taking issue at all. The concealing party just chose to rely on an extremely fragile right that ceased to exist upon disclosure. So the question isn’t about whether the right has been taken, but rather only about whether one who obtains a patent can sue an infringer for infringement. Additionally, the type of regime you seem to criticize is the exact regime we have in place currently. When one chooses to keep a trade secret and another receives a patent then the patent owner has the right to prevent the previous trade secret owner from engaging in infringing activity. Isn’t the risk of that loss — what you call a taking — exactly the trade-off a person or a firm makes by choosing to go the trade secret route, with its potential for a “term” of infinity years for exclusive use — instead of the time-limited protection of a patent? If the company filed for a patent application, the materials would be available at even more “economical prices” 20 years after filing. Instead, the company keeps it a trade secret for a variety of reasons, including (1) they want to keep prices higher for more than 20 years and (2) they maybe don’t want to mess with infringement suits, etc. That’s a risk one takes by not filing an application and instead keeping the invention as a trade secret. While no doubt trade secrets benefit the public, have the invention publicly disclosed and enabled benefits the public even more. Gene’s right — that’s the system as it is now. Alternatively, under the current system, your clients might think about filing a US application and requesting non-publication. Then make sure the application doesn’t get granted unless the “trade secret” becomes no longer secret. Then you have your place in line saved and don’t have to worry about prior user rights (as you’ll have 102(e) art). I haven’t thought this completely through as I don’t have any clients that do this, but I’m sure someone out there is doing it. You continue to miss the point on unconstitutionality. It seems you think because the Constitution says “inventor” that it is constitutional to award the patent to a second inventor rather than a first inventor. Art., sec 8 clause 8 of the Constitution says Congress is authorized to grant a patent to an inventor, and Congress has for the last 220 years, had a Patent Act that has done so. It does not say first inventor or second inventor, just inventor. So arguably that might mean a second (or 3rd, or 4th, or nth) inventor. But here is the problem you seem to skip over, the key point you miss. Stanford v. Roche holds that for 220 years this has meant as a matter of Constitutional law that at the moment an inventor invents he owns the invention and ownership by a one person precludes ownership by another. So, ownership by the first inventor necessarily bars ownership of all subsequent inventors as of that moment, as a subsequent claimant cannot divest a prior owner simply by being a claimant. If you obtain ownership of your house and someone else comes along and says they also own your house, the subsequent claimant loses. That is why Cetus got the invention in Stanford v. Roche, because they got an assignment FIRST and Stanford lost the invention because they got an assignment SECOND. So, it must necessarily follow that a first inventor owns the invention and a second inventor does not, just as a first assignee owns the invention and a second assignee does not as was held in Stanford v Roche. Yes, the first inventor can screw up and lose ownership, but inventing first and filing second has not, for 220 years, been one of those ways. Interesting analysis. But I am afraid that I do not follow your logic. An ‘invention’ is not a patent, and an assignment of an invention is not the same thing as an assignment of a patent. A patent is an exclusive right that is deemed under the law to be property. There can be, as a matter of law and principle, only one valid patent having a given claim scope. It is, in this sense, unique (which is really the whole point). An invention, on the other hand, is something that may be assigned, although until it is fully-documented and its boundaries defined (e.g. as in a patent application) the exact scope of such an assignment is potentially uncertain. Someone who takes an assignment to an ‘invention’ therefore does not really know what it is that they have acquired at that time. They do not know, for example, whether the ‘invention’ is new and nonobvious. They do not know whether the inventor from whom they have acquired the IP is the first, second, third, fourth, or four-hundredth inventor. If the inventor is not the first inventor, they do not know whether the true first inventor has applied, or will apply, for a patent, or whether they might have ‘abandoned, suppressed or concealed’ the invention. About the only thing that can be said about the assignment of an ‘invention’ by an ‘inventor’ is this: whatever it may be that the inventor possesses, once she has assigned it wholly to one party she can no longer assign it to another (because it is no longer hers to assign). This was obviously true even before Stanford v Roche, in which the task of the Court was really to decide when, and to whom, the first assignment occurred in the particular circumstances of that case. In short, an invention is not necessarily unique and exclusive. There can be many instances of independent invention of the same thing, just as there can be many independently-taken photographs of the Statue of Liberty. Invention simply does not have the quality of a unique, exclusive property right. Such a right can only be obtained in the specific circumstances set out in the Patent Statute. I therefore cannot follow the logical leap from the fact that once an inventor has first assigned an invention they cannot do so again, to the conclusion that only the first inventor can be constitutionally entitled to obtain a patent. These are just completely different things. You are delusional. Of course it is constitutional to award a patent to a second inventor. It happens frequently, and the fact that you don’t know that to be correct is truly astonishing. If you don’t understand that the second inventor is given the patent under Title 35 I don’t know what to say to you. I pray for your clients that they find an attorney who understands the law. Actually, yes it has and as a patent attorney you either know that, knew it and forgot or you are simply uninformed. You should read up on 102(g) and the diligence requirement. While you are at it you should also look at the proof required for the first inventor to prevail. Then study up so you can learn that the alleged first inventor, even if they really were the first inventor, loses frequently because of a lack of diligence and/or lack of proof. You are the one ranting, lying and distorting the law. Why I have no idea. Mark, I agree with most of what you stay, and give you credit for arguing with civility (unlike Gene), but still Stanford v. Roche remains authority for unconstitutionality of FTF because it holds that at the moment an inventor invents (not the moment he files) the inventor owns the invention. If we award the exclusive rights (patent) to a second inventor merely on the basis of an earlier filing date we deprive the first inventor of this property without due process or just compensation as required under the 5th Amendment. While assignments and inventions are obviously different things, in Stanford v. Roche they are closely tied, not completely different, because the assignment conveyed the invention. So much so that for Cetus and Roche getting the assignment was getting the invention. Gene, so your debating style is to distort the argument or the facts and then argue against the distortion and add insults. I will not reciprocate. We are discussing FTF, so the issue is whether, without more, it is constitutional (i.e. due process) to deprive the first and original inventor in time of his ownership, which Stanford v. Roche says for 220 years it has been the law he has at of the moment of invention, merely on the basis that a later inventor in time files first. You keep injecting other bases such as suppression, concealment, lack of diligence, etc. where an prior inventor is denied a patent to supply the due process constitutionality missing from the strict FTF issue of the diligent first-to-invent but later to file applicant. There is no dispute that a second inventor can exist and that a second inventor can get the patent if the true first inventor in time commits certain errors serious enough that our notions of due process are not offended by depriving the first inventor in time of ownership by awarding exclusive rights to another who is diligent. A diligent, true, unquestionably first, inventor being denied a patent just, and only just, for filing a thorough and well-written patent application a day later than some slopped together rushed patent application of a later inventor offends notions of due process. Surely you know that. There are numerous policy reasons why FTF is bad, for which I would simply refer you to F Scott Kief’s 4 essays posted on Patently-O or my blog, but on constitutionality, Stanford v. Roche and its holding of ownership of the invention at the moment of invention (not moment of filing) does not favor FTF. Please point to where in Stanford v. Roche the issue of first to file was addressed by the Supreme Court. We both know that you cannot point to anything because that was not at issue. Why an attorney would make such a ridiculous argument is beyond me. Under your rational the granting of a patent to the second to invent, which we all know has happened for at least 150 years, would be an unconstitutional taking. That is absurd in the extreme. Your reading of Stanford v. Roche is so ridiculous it is impossible to take anything you say seriously. I do question your ability to adequately represent clients when you have such an erroneous view of the law. Perhaps I did not express myself as clearly as I thought. Our point of difference here is the nature of ‘invention’ as property. There have been many debates over the centuries as to whether individuals somehow have an inalienable right to the creative products of the mind, but the law (by which I mean the common law, at least) has always stopped short of recognising such a right. The common law recognises property rights in chattels, while statutory law creates specific additional intellectual property rights, including copyrights and patent rights (which are deemed to be property: 35 USC 261). The common law has never recognised property rights in creative products per se, and (as far as I am aware) there is no US statute that would make an ‘invention’ (as opposed to a patent) into the personal property of any person. Any such property right certainly could not be exclusive, because independent creation (including the possibility of simultaneous independent creation) is an undeniable reality. A person may be bound, by contract (express or implied), not to disclose information received in confidence. The courts will also restrain the disclosure or use of information obtained by improper means. But this is not the same thing as recognising a property right in the confidential information. In the English law, this is clear in Prince Albert v Strange  EngR 261 (http://www.commonlii.org/uk/cases/EngR/1849/261.pdf). I do not know if there is any earlier expression of this principle in the US law. In short, there is no ‘property’ in invention that is recognised by the law prior to the issue of a patent. Nothing is relevantly ‘taken’ from one inventor by the grant of a patent to another, regardless of who was first to invent. Of course we speak casually of assigning ‘inventions’, but in fact what is assigned (if you look at the wording of a properly drafted contract) is whatever rights in relation to the invention the inventor may have had. While a variety of such rights may be created by law, a property right in the invention is not one of them. And, as I said in my previous comment, an assignee must necessarily accept that there are many circumstances in which there will be no commercially-valuable rights acquired (such as, for example, when the ‘invention’ is not novel). I found the paper by Michael F Martin, ‘The End of the First-to-Invent Rule: A Concise History of Its Origin’, (2009) 49 IDEA 435 (http://law.unh.edu/assets/pdf/idea-vol49-no3-martin.pdf) quite interesting. The paper describes how the first Patent Board, comprising Secretary of State Thomas Jefferson, Attorney General Edmund Randolph and Secretary of War Henry Knox, had discretion is deciding priority disputes. In the first such dispute, it seems that Randolph may have favoured a ‘first-to-file’ rule but that Jefferson won the day, not with a first-to-invent rule, but by dividing up the rights into narrower patents awarded to the disputing parties (see pp 456-459). Here, something was ‘taken’ from the first inventor (by your rationale), and yet Jefferson apparently did not consider this ‘unconstitutional’. According to Martin’s history, ‘first-to-invent’ was effectively incorporated into the second Patent Act of 1793, most likely in response to good old-fashioned political lobbying (much as we see with patent reform today), although it was not until the Act of 1836 that this was expressly spelled out. PS You may find Gene’s comments ‘uncivil’, but from where I sit, it does appear that you threw the first stone (‘…rants, lies and distortions’). I must echo Gene’s sentiments here. How you are able to (mis)read a Court decision to insert a reading such as you have done casts doubt on your legal analytical abilities. Crtitcal thinking includes the ability to divorce your wants and put aside your subjective views to reach an objective recognition of what the Court says – and what it does not say. Blog commenting can be a bit rough and tumble – Mark is already “sensitive,” and I do admit to playing a little bit more rough – but that doesn’t mean that you get to ignore the actual points made (or make up things that the Court just has not said. The first order of business is to understand the scope of the Court’s decision. This should tell you that the decision is not about the merits of two independent inventors – each of whom in their mind rightfully believe that they are the first and true inventors going after the same invention. The logic in the actual decision is constrained to the case of one invention by one inventor and a subsequent non-inventor who is attempting to take title to that one invention. I am amazed at the ability of people to simply choose to add (facts and) holdings to decisions. Quite simply, you are wrong to try to (mis)apply the law as dealing with the current fact pattern stretch to that of more than one independent inventor. You just have no basis for the conclusion of “ownership by the first inventor necessarily bars ownership of all subsequent inventors as of that moment,” because there are no subsequent inventors in the fact pattern before the Court. One: Section B, page 8 of the decision makes clear that Congress has decided and has passed laws providing that the government can divest rights from the inventor (AEC, NASA, DOE). If your position were to hold, then these mere laws passed by Congress would have to be deemed unconstitutional since a non-inventor is taking a true-inventor’s rights. The Court did not hold so. Two: If this were an issue of constitutional limitation of what Congress can do, the Court would explicitly say so. Here, the Court actually says the opposite. Section A, page 6 makes the point, “Under the law in its current form.” As I have pointed out in other threads, and as you yourself have relinquished – in cases where we have more than one true inventor the Court has allowed Congress to decide, in its choice of current form of law, the guidelines of deciding which true inventor obtains a patent for the invention. There is no indication whatsoever that the Court is saying that Congress’ discretion is constrained to the law in its current form. As I have indicated – Congress cannot overcome a Constitutional “off-limits” by mere passage of law. Such law would be deemed by the Court to be unconstitutional and the Court would point this out. The Court did not do so. Three: There is a difference between “invention” and “patent” that you seem to be missing and that is actually critical to the discussion at hand. The importance of this distinction hinges on the understanding of “inchoate” as well as on the undeniable truth of independent invention already discussed. Section A, page 7: “the discoverer of a new and useful improvement is vested by law with an inchoate right to its exclusive use, which he may perfect and make absolute by proceeding in the manner which the law requires” (emphasis added). Given that the Court has not only recognized who has the ability to set the manner of perfecting and making that inchoate right absolute (the Congress), the Court is explicit that what is owned by an inventor is not a perfected right at the time of inventorship. Since it is the patent right and not the “invention right” that is exclusive, for your position to hold the Court would have had to say something completely different. You accuse Gene of “ keep injecting other bases” and “distort the argument or the facts” and yet it is you that distorts the fact pattern (injecting other inventors) and it is you that misstates the issue (single inventor and subsequent non-inventor). It is you that wants to make a different issue than the one actually decided by the Court. You want to make it that “ the issue is whether, without more, , it is constitutional (i.e. due process) to deprive the first and original inventor in time of his ownership [to a second inventor].” Clearly, there is no such second inventor in the Stanford v Roche case. The distortion, Bruce, is yours. @BD – This really belongs in private email, but you choose not to share your contact details with us. And that is really my issue. If I am ‘sensitive’ it is in a professional, rather than personal, capacity. Further details of who I am, what I do, and who I work for, are only two clicks away from this page. So when your idea of ‘rough and tumble’ includes disparaging comments about my credibility and sanity, delivered from a position of anonymity, then of course I must protest. I do not ask for you, or anyone else, to agree with me. I ask only for some professional courtesy. …then the professional thing to do would be to not post it. Let’s stay on our united theme with Bruce, shall we? Blind Dogma, you should have been out enjoying Father’s Day instead of blogging, however thanks for the detailed rebuttal. Now that I am back to work, I will reply as you request. We are not all that far apart on Stanford v. Roche, just on its implications. Certainly the fact pattern is first assignee vs second assignee (or more precisely one holding an earlier promise to assign plus an arguable automatic assignment vs one holding a later actual assignment) not a first inventor vs. a second inventor and certainly there is no specific holding that awarding a patent to a second inventor is unconstitutional. Then we diverge regarding the importance and effect of the case. When Chief Justice Roberts says that upon invention an inventor owns his invention, that is not subject to your or Gene’s interpretation that this doesn’t mean a first inventor has superior rights to a second inventor. On the contrary it means what it says. That’s not being subjective, but rather just reading the words as they were written. It will be for Chief Justice Roberts to eventually say whether they have the more limited meaning you and Gene place on them if he is called upon to decide the constitutionality of FTF. 1. Actually DOE, NASA, & AEC takings of inventions are not at odds with first inventor ownership, as the inventors are entitled to receive just compensation for the takings. In the case of the AEC, for example, the patent section of the 1947 Act was was section 11 under which 11(e) called for compensation awards from a Compensation Board. Where there was federal funding, that funding was generally taken as the compensation. Government takings of inventions with compensation provided either by a Compensation Board or as part of a funding contract are quite different from a situation such as FTF where the Government would be taking an assignable property right in an invention from an earlier inventor and giving it to a later inventor without compensation to the earlier inventor. The later violates the Fifth Amendment if, as Chief Justice Roberts just said in Stanford v Roche the prior inventor has an assignable property right in the invention. 2. Your second point is muddled and conflates separate issues. The Court was not called upon in Stanford v Roche to pass upon the difference between an invention and a patent, as they were one and the same being that there was only one inventor and a patent must, under 102(f), go to an inventor. You posit “in cases where we have more than one true inventor”, which I understand you to actually mean more than one who did “himself invent the subject matter sought to be patented” as required by 102(f) rather than “true” inventor as I have been using it to mean the first original inventor. Next you say the Court has allowed Congress to decide the guidelines for which [102(f)] inventor gets the patent. Actually, that is not quite correct. What the Court has thus far done is to NOT find that Congress has set unconstitutional guidelines. My position is that if FTF is passed, the Court may, if it follows the logic of Stanford v Roche, decide Congress has set unconstitutional guidelines. Marbury v Madison, long ago decided that the Court not the Congress is the ultimate arbiter of the meaning of the Constitution. And, that is why I look to the words of Chief Justice Roberts of that Court. 3. Your argument that inventor’s rights are inchoate (formless) that may be perfected in the manner which the law requires is superficially appealing, so I can see why you might deceive yourself with it. The fallacy in it is that you fail to appreciate the word “he” as being “the discoverer” who the Court says is the one who may perfect. There is no question Congress has, within Constitutional limits, the right to set how “he” may perfect his invention to gain the exclusive rights. After all, the patent clause is in Article 1 as an enumerated power of Congress. However, those powers are subject to the Bill of Rights, and the Fifth Amendment prohibits Congress from taking property without just compensation and that places a limit on the manner Congress chooses to perfect the right. The manner of perfecting cannot be to deprive a person of his property, that inchoate right, without due process or just compensation. Please describe to me the just compensation that FTF provides to the prior diligent inventor for taking this inchoate right and giving it to a later inventor. If FTF provided that the prior inventor will be fairly compensated for this taking, I would have no problem with it as a constitutional matter. I would still have immense problems from a policy standpoint, but not from a constitutional standpoint. I hope to review his rebuttal this evening. Actually, no. There is zero possibility this issue will ever reach the Supreme Court. Stanford v. Roche does not mean what Bruce says it means, and the first U.S. patent laws were first to file and remained first to file for the first 80 years of patent history in the United States. Even then it was permissible, not mandatory, for the first inventor to receive a patent. Seriously Bruce, your understanding of the law and how to read cases is comically funny in a tragic way. I don’t know how anyone can take anything you say seriously when you so clearly distort the meaning of an easy case to understand. Notwithstanding, I can’t wait to hear your argument regarding how Thomas Jefferson didn’t understand the Constitution or the Patent Act that he wrote after serving as the first primary patent examiner for the United States. You make a convincing case for first-to-file. As every first-year law student should know, courts have consistently ruled that IP protection is intended mainly to be not a provision granting rights to innovators, but rather part of a social contract in which innovators receive certain benefits as long as they contribute their work to the public. If anyone is online … I need help determine if I should file something somewhere, that I contributed to some aspects of Patent Claims, that this one person CLAIMS, as his entire work and has deceptively not wanted to include our contribution to the invention. My contribution (concept and ideas and some drawing and structural functional placement) effectively adds a VAST functionality and utility to the patent (already awarded Nov 2010) and yet the person has neglected with full intent not acknowledging my contribution to the patent. Further, I am the one who started the person on the pathway to Patent, introducing attorneys, helping write the earlier Patent application etc… until I found his deceptive nature and brought it to table … etc. All the same the guy went and Patented the system, without my knowing. Any idea? What if I file an interference Application of my own but including him also on the application as an inventor with my name also?